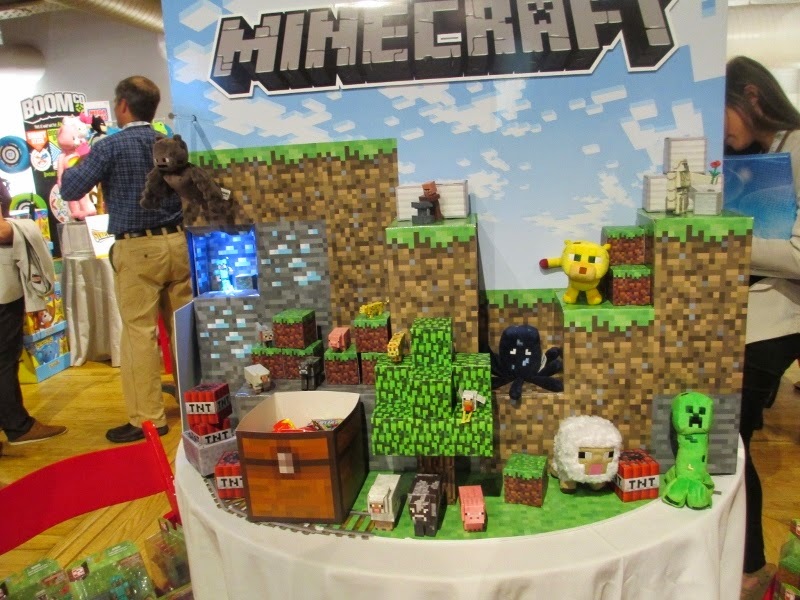 Last week I made my semi-annual trip to New York for the TTPM Spring Showcase of new and featured toys. I look at everything for boys and girls and for all ages – babies to older kids – and I give you my “grandparent point of view.” Sometimes there is a new twist on a familiar product and sometimes I see something that is new that I wish was available for my kids. It’s about what catches my eye. I’ll be doing some more detailed reviews including giveaways, but this is my Highlights Report. These are all photos that I took at the display tables - no stock photos. That's why they aren't perfect, but I always like to take my own pictures. This play gym has all the standard features of a baby’s play gym but with an extra that I really liked. At the baby’s feet there is a keyboard that a baby can kick. 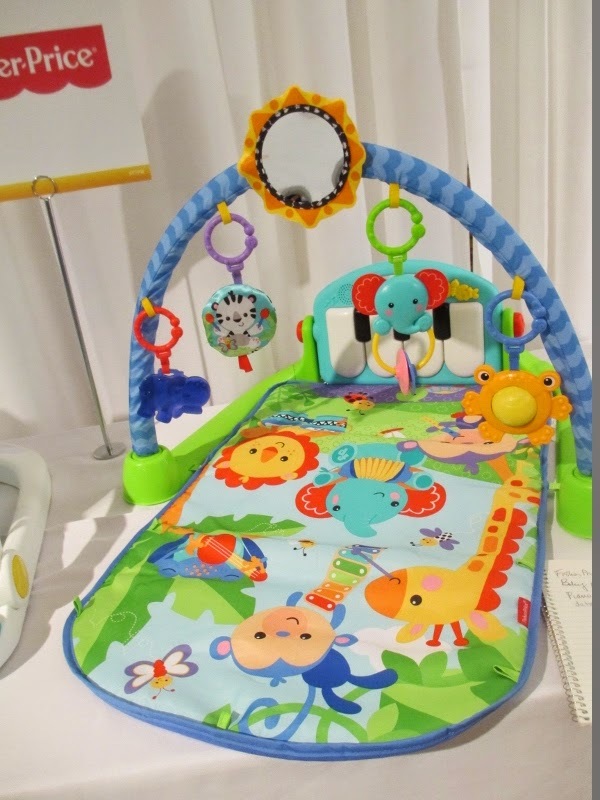 It is also detachable so that it can be a toy that makes familiar sounds as the baby gets older and is sitting up. 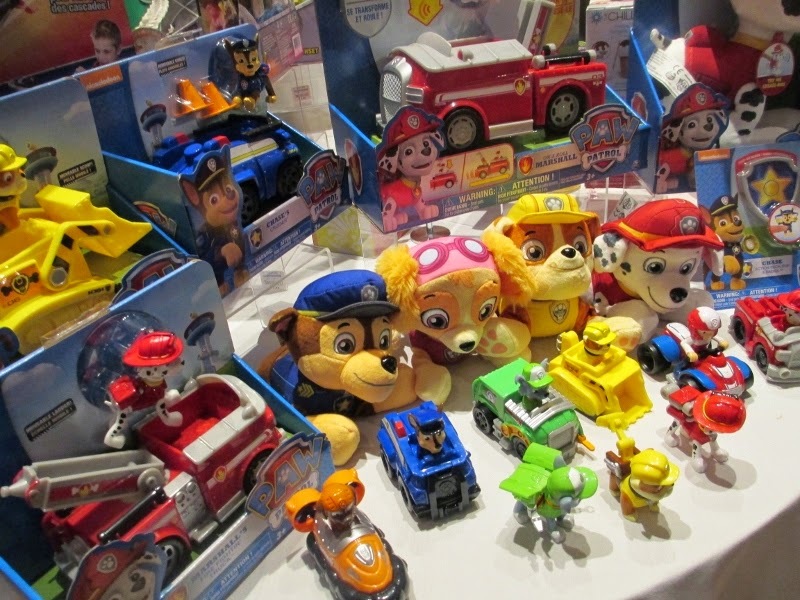 In case you are not familiar with Paw Patrol, it is a top-rated Nickelodeon preschool series. Mention Paw Patrol to a young grandchild and chances are you have started a conversation that will make you smile. The series features heroic puppies that save the day …while learning lessons about friendship, safety, and teamwork. This is a new toy line that will be available this summer. There are small racers priced at $2.99 each and more elaborate items priced at $40 and up. I am not providing links to Amazon because the pre-order prices shown are much higher than the suggested retail prices listed at the show. The talking plush and the cool vehicles are sure to be a hit this summer. Looks like good travel toys to me. I'll be writing a detailed review once they are available in the stores. 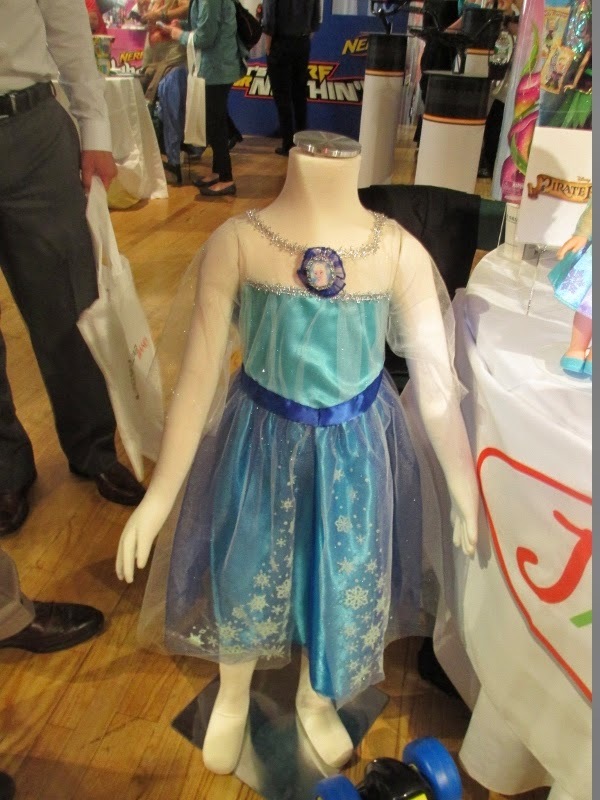 These dress up costumes were getting lots of ahs from the mommy bloggers at the show and I understand that they are flying off the shelves, so if you know a little girl who likes to play dress up and loved the movie, this will be a big winner. And you may be able to get a twofer for play and Halloween costume. These games by Crayola include chalk, simple game pieces and instructions. Perfect for the summer. 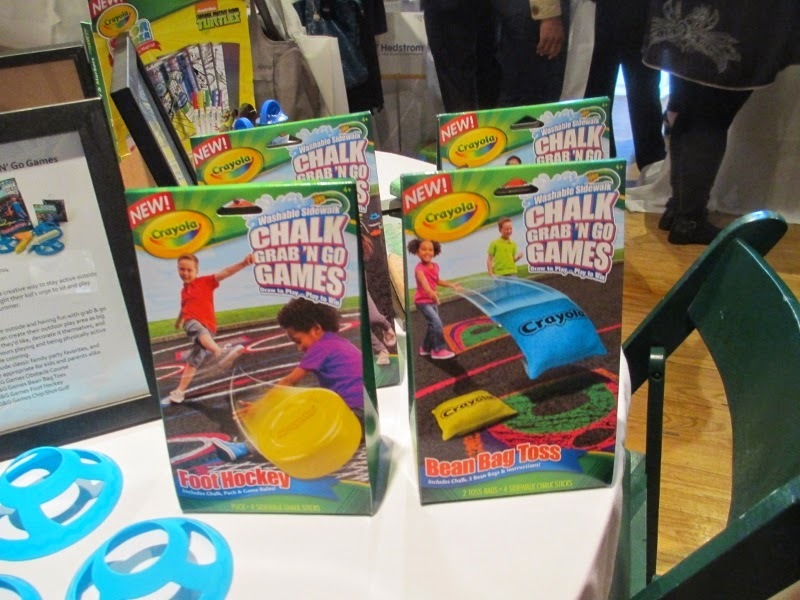 Use the chalk to make play area for the game and then play. Perfect for Spring and Summer and priced right. Foot Hockey and Bean Bag Toss were just two of them. Boys and Girls – of all ages - love NERF prodcuts. It amazes me that they have something new every year. 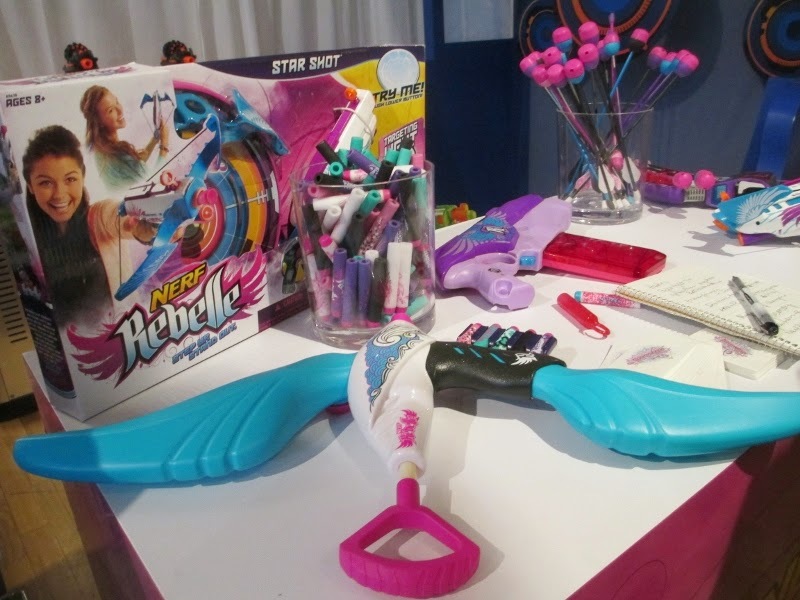 The Rebelle line features colors and packaging that will appeal to girls with all the NERF style fun. One of my favorite features about NERF is that it is appropriate for and appeals to a wide range of ages. So if you are having a big summer family gathering – get out all your NERF toys and have a blast. Literally, have a blast. If you read this blog you know that LEGOs are big at my house. 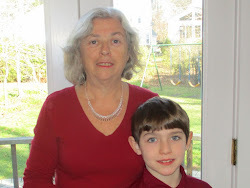 My grandson seems to have a new set all the time. He loves all the superhero sets and the TMNTs. 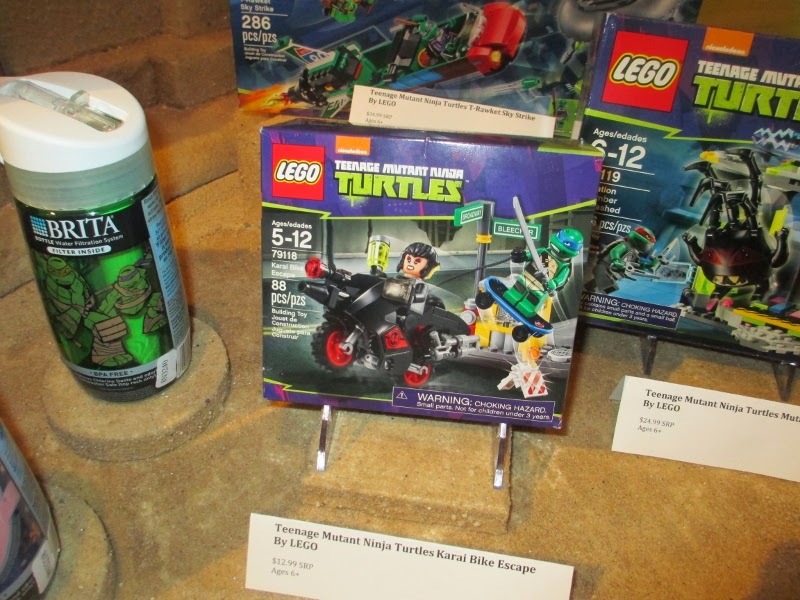 He is going to love this new line featuring the Turtles and he and his Pop are going to while away a lot of hours working on these sets this summer for sure. There’s lots more. This is just my highlights. Enjoy and check them out at Amazon. Subscribe to the blog and follow The Grandma Chronicles on Facebook if you don’t want to miss the detailed product reviews on all these products and more.